The number one reason teachers need representation. It’s not what you think. Set a time to communicate. Ask if there is a good time to talk. Setting a time to talk about an issue, shows respect and allows both parties to be mentally ready to face issues. Stay emotionally open. Resist the urge to be on the defense. One method to remain emotionally open is to ‘listen, listen, listen, speak; listen, listen, speak; listen, speak.” Ask questions. Repeat back what you heard for clarification. Instead of defending an action, ask for clear directives on what would be a better response next time. Finally, if something upset you emotionally, ask the party if you can share it respectfully. Both parties may not always agree, but you can show respect by validating feelings and listening with empathy. Consider situational factors of behaviors. Human nature tends to have a bias when judging the behavior of others. If someone acts in a way we do not like, we tend to make a judgment on the personality or disposition of the individual. When we judge our own behavior we can often look at situational factors that impact our response. Be sure to consider the situations a person is facing day-to-day that might impact their behavior. Attend all meetings you are asked to attend without rebuttal. At PEN, we often get emails from teachers when there is already a hostile relationship between a teacher and principal. The question inevitably is “Do I have to attend this meeting?” The answer is yes; you must attend a meeting that a superior asks you to attend. If you fear meeting alone, it is okay to ask if you need to have a representative there in the meeting. 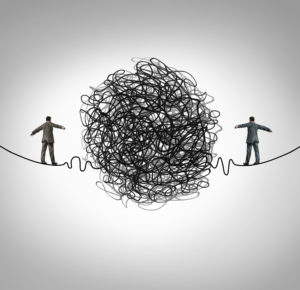 Document interactions, both positive and negative, if you notice the conflict escalating. If you begin to notice a hostile relationship in the workplace, it is wise to begin keeping record of both the positive and negative interactions as well as any other parties who may have been present to witness the interaction. This is also a good time to ask advice from PEN. If the situation escalates to bullying or harassment, it is very hard to prove, so documentation is key in these instances.